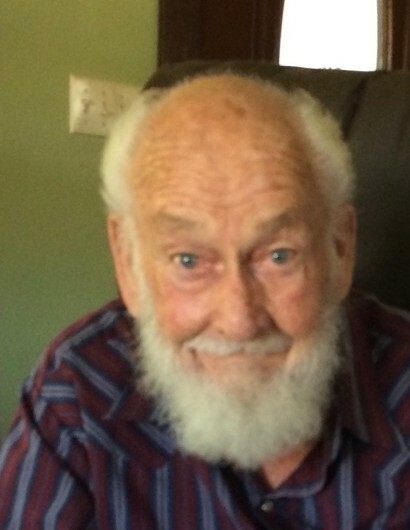 Valdean C. Perry, age 80, passed away at his home in Fairview, Wyoming on November 14, 2018. He was born on April 19, 1938 in Afton, Wyoming to Dora Cazier Perry and Henry Yates Perry. Valdean attended school in Idaho Falls, Idaho and then in Afton, Wyoming. On May 26, 1957 he married Janet Clark. They were later sealed together for eternity in 1959 in the Idaho Falls Temple. Together, they had five children. Valdean had a love for the outdoors; he loved hunting, camping, riding horses, training new horses, and farming. Valdean had many jobs, at a young age he fought forest fires, and worked on his grandfather’s farm. He was the custodian of the Afton 3rd and 4th Ward. He was a welder at the airplane factory, and worked on a farm in Utah. He served as a member of the Fairview Water board. He loved being a school bus driver, which he did for 30 years. Valdean’s special interests and hobbies included raising a family and caring for all kinds of animals, horse rides with friends and family. He loved scrapbooking and referring to his ‘Little Black Book” which included names with birthdays which he loved calling people on their special day to wish them well. He served in many callings in the Church of Latter-Day Saints; ward clerk, president of the Sunday school, temple worker at the Idaho Falls Temple, home teacher, and employment specialist. Some of his favorite times out were to watch his children play basketball, or driving bus loads of students across the state to participate in sports. He is survived by brothers, Duane and Jay, and his sister Jewel Johnson, his beloved wife of 62 years, Janet Clark; children, Janadane (Lance Skinner), Randall (Carol Hurd), Roen (Susan Hemmert), Rick, and Robin (Kelly Luthi); 19 grandchildren; 25 great grandchildren and many nieces and nephews. A viewing will be on Friday, November 16, at the Afton Mortuary from 6:00 to 8:00 PM. There will be a viewing before the Funeral services on Saturday, November 17th from 9:30 to 10:45 AM on Saturday. The funeral will begin at 11:00 AM at the Fairview/Salt River Ward Church. Highway 89 just south of the Temple. Burial will follow at the Afton Cemetery.